Our Solar Pixel design and development team is here to provide a great service to you. We are driven individuals looking for not just a job, but a cause we can believe in. Contact us today to see how we can help you. 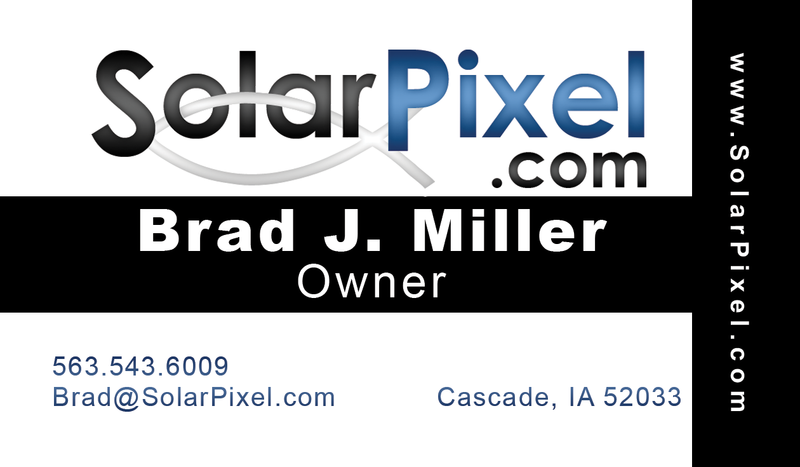 Brad is the owner of Solar Pixel Design and Development services and has been diligently working under the Solar Pixel name since late September of 2006. He graduated with a Computer Science degree from Clarke College in Dubuque, IA in May of 2003. He went to work for a bank holding company immediately and began to cultivate the graphic design skills on top of the programming base he received from college. Brad's personal time is spent doing everything he can to spend more time with his faith and family while occasionally sneaking away to run, skate, or play volleyball. As a faithful individual he works to incorporate God in every day Solar Pixel business. Feel free to contact Brad even if you just want to talk about faith, he would love to hear from you. On word power. For as long as she can remember, Glory Hougham has loved words, their potential to convey ideas, and their power to influence those who read them. Glory: "SEO (Search Engine Optimization) has taken word power to a whole 'nother level. The opportunity to collaborate with clients to get their message out in creative and informative ways is exciting, challenging, and ... well ... fun!" In her personal time, Glory likes to read words (in books and on the web) and put words to music as part of a worship team at her church. She lives in Dubuque with husband Kevin; their daughter Jordan is a businesswoman, currently residing and working in Washington, D.C.
Education: BA, University of Iowa. Work experience: Professional Writing | Communications | Marketing | Human Resources. 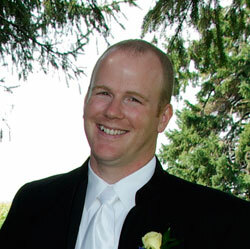 Charlie is our Quality Assurance / Developer and has been working in software QA for over 5 years. He has a multitude of web systems testing talents and does a fantastic job of paying attention to every detail while still keeping your project within budget and it's timeframe. Charlie is a remote developer from our main web design office and works diligently from his home office in Des Moines, Iowa.